So I’m reading the Wall Street Journal last Friday. After such an up and down business week I needed some guidance. In every issue, below the fold on the front page, is a humorous, slice of life story. Bottle Trees Join Grand Tradition of Pink Flamingos, Garden Gnomes. The Blooming Things are Good All Year, If You Like That Sort of Thing. Apparently, bottle trees are a Southern tradition. From what I’ve read, placing empty glass bottles in the garden as a way to trap evil spirits is a Southern tradition. I found a website called www.bottletrees.com and, sure enough, this is a proud Southern company and they have been offering an array of bottle trees for four years. Who knew. 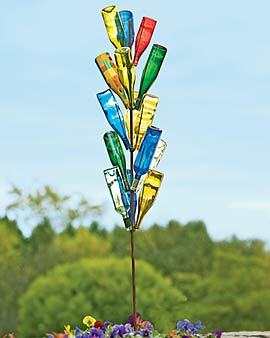 And Gardeners Supply, one of my favorite companies for all things gardening, is mentioned in the Wall Street Journal article saying “bottle trees made in India are one of its top sellers in garden decor, a category that has been growing 15% annually.” Who knew again! I do not recommend putting a bottle tree on a stoop in Boston… think liability. But it could be an option for a deck or patio. It could be a fun and vibrant nod to nature when the leaves are off the real trees and the snow starts to fly. What do you think? 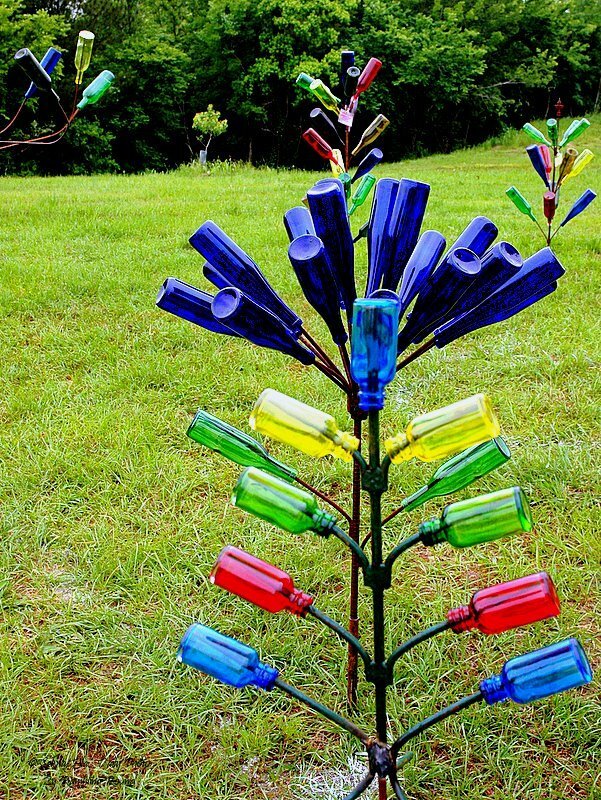 Bottle trees – garden art or trash? Comments welcome! This entry was posted in Garden Ornaments. Bookmark the permalink.